The country was waiting and was afraid of EURO – 2012 “She” tried to be ready as hard as she could and as she understood. But will they become a lesson for Ukraine these events in summer days in 2012? Irina – the main character of the film – is a former professional football player, known as Socja. Now she cleans cars. She is coming from Zaporizhzhya to see final game of Euro 2012. There Socja wants to meet her old football friend Sapara to root for a team and remember youth. Waiting for Sapara she turned out in the bosom of fanats from all over the world. Republican stadium in Kiev will become the main place in the country during Euro 2012. At the same time there will work a theater of operetta. 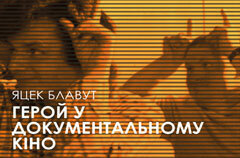 Its director has decided to compete with Euro and present a fabulous show “Welcome to Ukraine or Journey to love”. This perfomance is supposed to become a visit card of Ukraine. Where geography and common sense doesn’t work, there is a place for him. This is a story about a person who has everything. It is not quite the same we used to imagine as the products of contemporary system of values. Living on the edge between alcoholih dreams and wakenings Fenik has found his niche. The only reason to worry about is that scrap metal will be gone soon. This is story about a stadium when it was a market, told by a person who took part in all that events. We share his touching and curious look at time he lived in – the 90-ties. During Euro 2012 Khreshchatyk was turned into main fan-sone of the country. More than 300 days there has been a tent camp which occupied certain part of Khreshchatyk. Inhabitans of tent camp are getting ready for visitors. Thus during rain, wind, frost and summer heat there are tents in the middle of the city’s center, and people sit in them. Young and old sit at the sake of Idea and try to convince in it all the street walkers. Our film is not about the politics, but about the city inside the city, because people remain people in any situation. Valeriy is a street musician, who came to Kyiv during Euro 2012. He decided to play in an electric street railway, which was set especially for championship. This is the snow-white train, decorated with logos and symbolics of the greatest sport event. People in the train are busy with their problems. We see some of passengers are going mad because of them. Musician is a chance for them to take a break from ordinary life and feel happy or go mad much more. Valeriy is on his way. During several days in Kyiv he must make a special Indian flute and sell it to go on his journey. He aspires music of this magic flute touches everyone. This is a film-speculation of the author about his great-grandfather and his destiny, which has lots in common with the story of stadium "Olympic" in 40-ies of ХХ century. This is a story how championship Euro 2012 burst into quiet and a little sleepy life of the inhabitant of the Kharkiv zoo - ferret Fred. Every day Fred was taken to fansone and two bowls with delicious meals were put in front of him. But when he tried to taste… immediately he was lifted up and everybody shouted FRED!